Minted Fundraiser – Great news! The deadline has been extended to Sunday, December 9th. 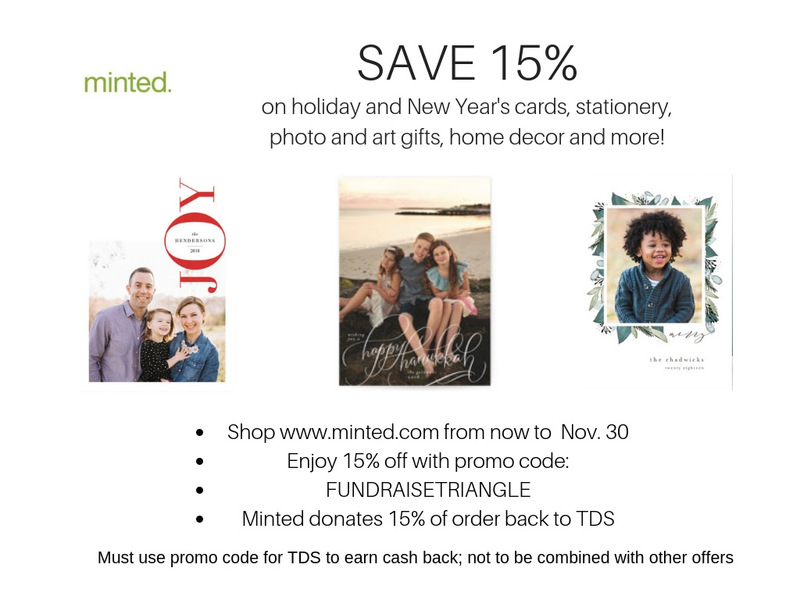 Order your holiday cards, stationery, and gifts from Minted and earn money for TDS in the process. Shop www.minted.com with the promo code FUNDRAISETRIANGLE. You’ll save 15%, and TDS will earn 15% cash back on all orders. You can share the code with your friends and family, too!